I am a fully qualified tree surgeon with many years experience in the industry. My company provides services in all aspects of tree care, and will gladly be flexible to meet whatever requirements you have. I am based in Bedfordshire, and provide my services in this region and the surrounding areas. 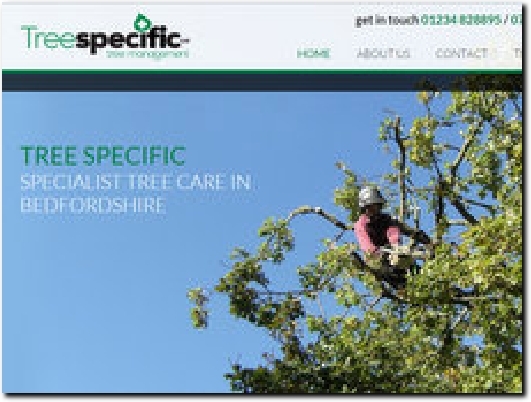 Bedfordshire-based tree surgeons with 20 years experience, offering a wide range of tree-related services. A Member of the Royal Forestry Society, and fully insured for public liability. Contact Us has full contact details and an enquiry form, and the Testimonials page has reviews from satisfied clients.